One year after his first release on Dubophonic and following his recent European tour, the international artist from Mexico Yasser Serano, better known as Mexican Stepper, returns with another heavyweight track. Based on the same concept of the Mad Sunday EP, Yasser introduces his new tune “Run & Tell” and lets it get 12 irie remixes by artists like Mr. Zebre, Du3normal, Injham and many more, running and telling to the four corners of the world that Babylon is falling down. 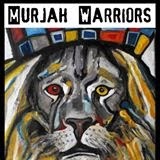 This version by the Murjha Warriors incorporates the organic sounds of melodica and mandolin on the heavy Mexican Stepper riddim inna conscious meditation style. It will be of course included in this new release, which will be out on the 1st of March 2015 for free download. Bless up!